This is gonna be a busy week in the field. 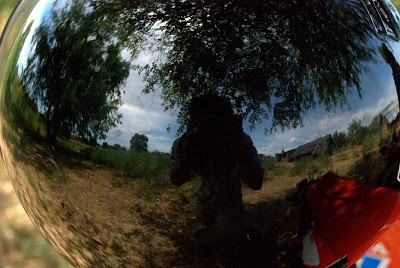 I took this picture outside the community of Salinhanga because there was a mud wall house and trace of a rainbow reflecting off my motorcycle helmet. Cool view of things. I dig the reflection.